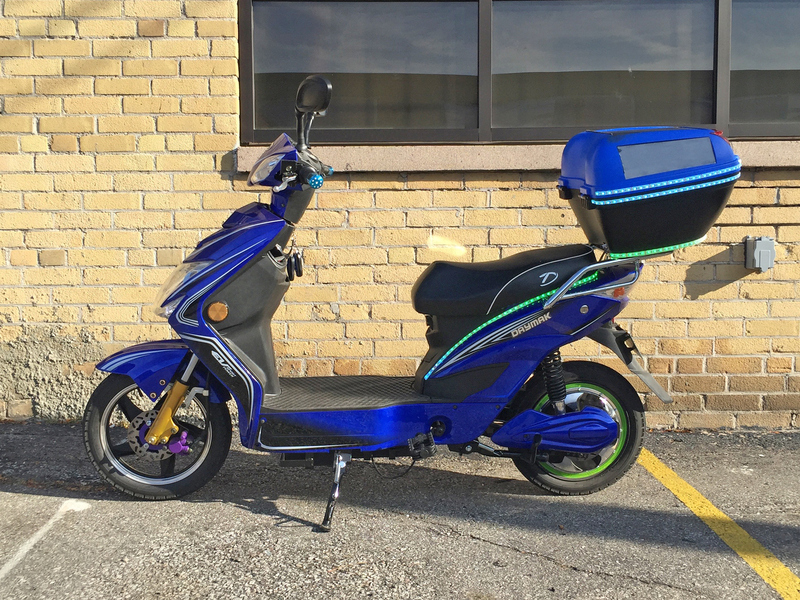 Length: 64", Height: 44", Width 27", Seat to Ground: 29", Seat to Floor Panel: 11"
Daymak is a Canadian electric vehicle company based in Toronoto… They’re one of the larger brands with sales dating back to 2002 when they also sold gas powered scooters. 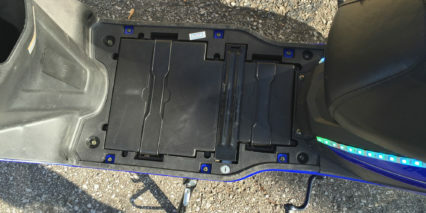 In 2009 they switched entirely to electric and in October 2015 they successfully crowd funded the Chameleon electric scooter. 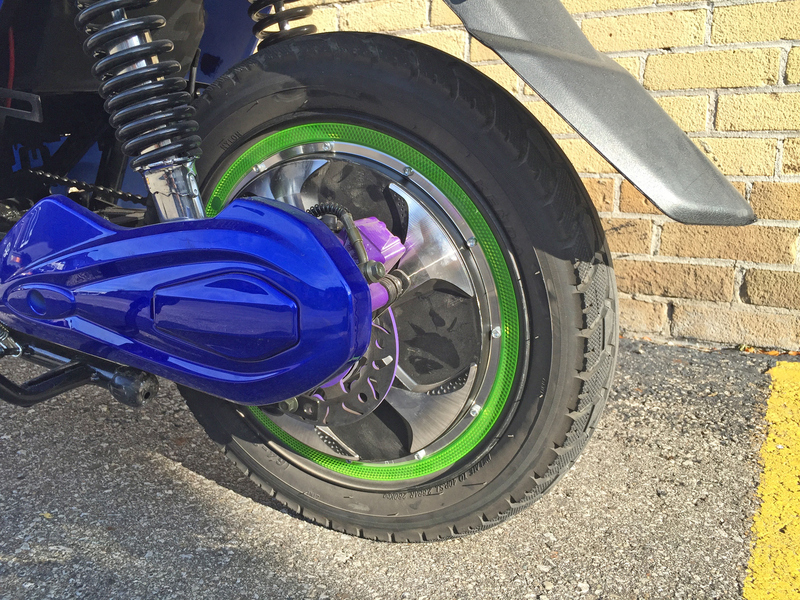 while it’s very similar in appearance to some of their other scooters (most of which are imported stock from Asia) the Chameleon delivers several unique custom features. 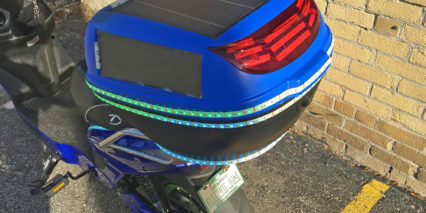 Namely, integrated solar panels for trickle charging the battery and several LED light strips that enhance its visual footprint improving safety and style. My first impression of the bike was that it looked almost identical to the Voltbike Metro+ which retails for quite a bit less. However, upon closer inspection and test riding my mind was completely changed. 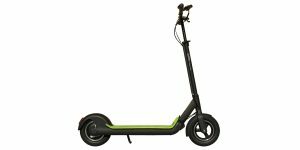 The Chameleon uses different wheels, offers more voltage and is one of zippiest, most satisfying scooters I’ve tried to date. 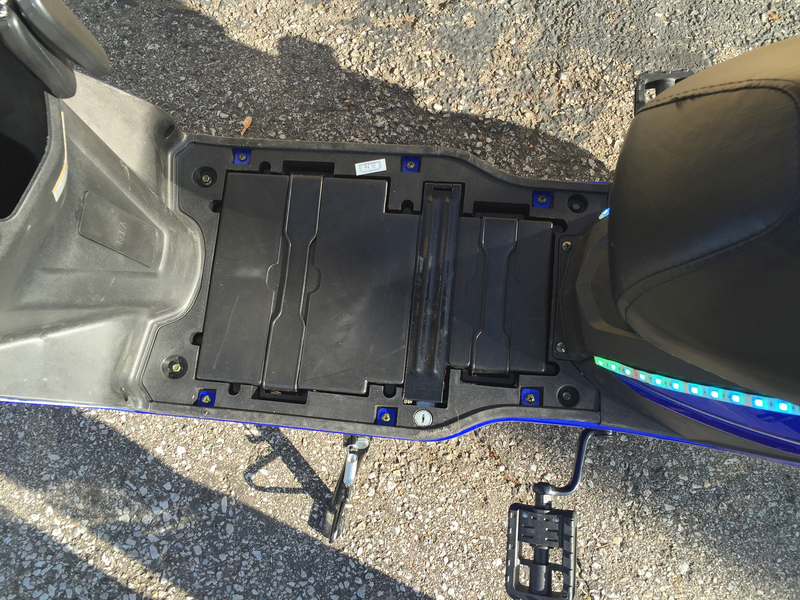 In general, it’s still a value build with plastic frame parts that rattle over bumps and a base Sealed Lead Acid battery pack… but several upgrade paths exist for those who want to further increase range and lifespan. 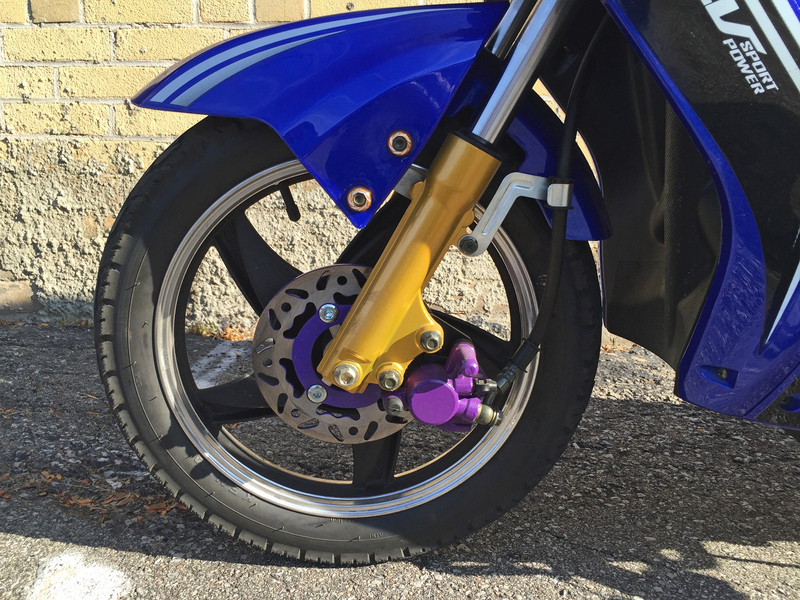 Driving the bike is a 500 watt direct drive hub motor built into the rear wheel. It seems very well protected and operates with a quiet whirr under full power. This thing is zippy and felt even stronger than the Beast (which I also tested when visiting Daymak). 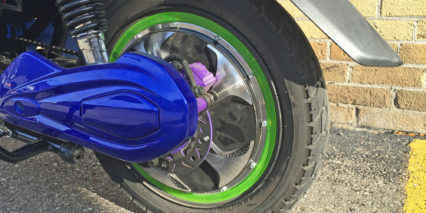 Part of the performance boost may be the smaller diameter wheels (which improve mechanical leverage for the motor) and the semi-slick tires being used on concrete. 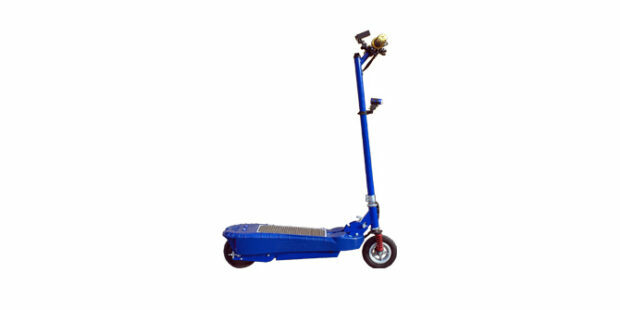 Both wheels are made from solid aluminum so you don’t need to worry about bending spokes and the tires were thick and durable. This bike weighs over 150 lbs and offers a maximum additional load of 300 lbs so it would work well as a daily commuter for people who want to bring along some gear. 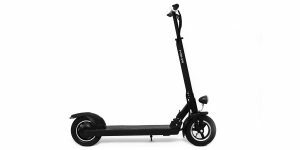 I could see this thing being perfect for people who live in the city and have insurance and a motorcycle license because it’s capable of hitting ~40 mph when unlocked with the smart phone app. By default, it only delivers a 20 mph top speeds that, along with its very basic pedals, help to classify it as a “low speed electric bicycle” legal to ride without a license or insurance in the US and Canada in bike lanes. As mentioned in the video review, this thing would not be fun to pedal around, the crank arms are very short and I had to spread my legs fairly wide to even reach the pedals without completely rubbing my inner thighs raw on the extra-long and wide saddle. 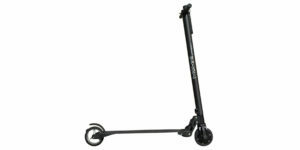 Saddle height cannot be adjusted and this scooter (as with most others) only comes in one standard size. 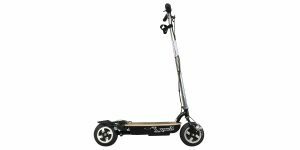 I’m about 5 foot 9 inches and it felt comfortable but my knees came fairly close to the handlebar so taller riders would need to scoot further back or consider alternative bikes. Powering the Chameleon is one of two battery options including the stock SLA battery or a Lithium-ion upgrade for ~$1,000 more. With a voltage of ~84 and 12 amp hours the standard Lead Acid pack really boosts the motor but still has enough capacity to reach 30+ miles if ridden with the slow-start option in the app. This helps to conserve energy when starting from rest… and it is not what we were testing in the video. That’s one of the big features here, you can adjust how the bike performs enabling it to climb steep 39 degree hills and dash off the line or ride more gently to conserve power. 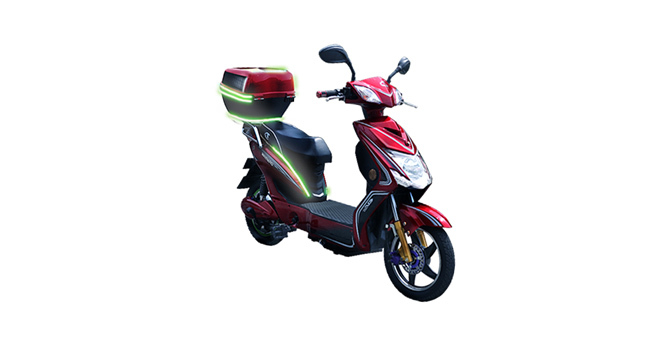 If you spend the extra money to get Lithium-ion cells the bike will weigh a bit less, the battery will take you further because it offers 24 amp hours of capacity instead of just 12 and it should deliver more cycles effectively doubling lifespan. Lead acid packs are more affordable to replace and given the integrated solar charging box option I think they would hold up very well over time here. I really like the optional rear cargo box with lights and the solar panels (offering 12 watts for the top and ~2 watts for each side). 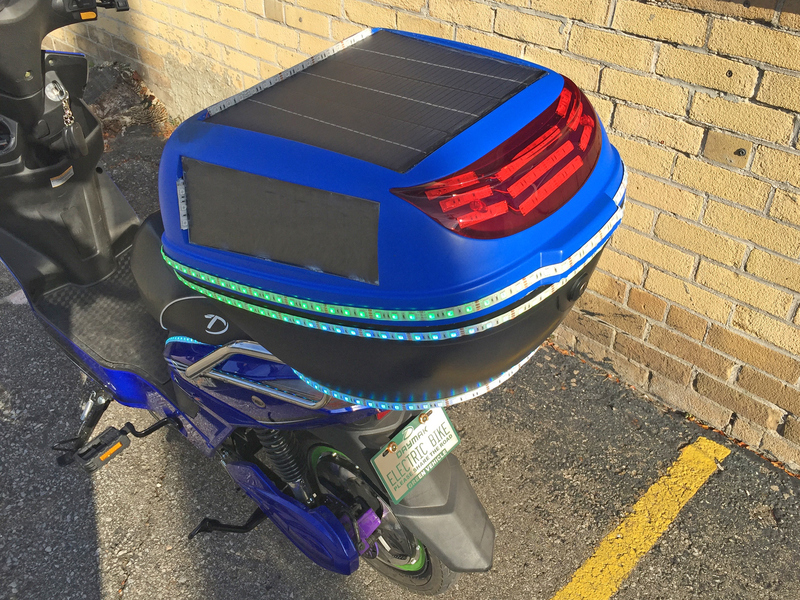 These panels aren’t going to refill your battery pack unless you set the bike out in perfect sun for nearly a week and a half… but they do offer a way to keep the battery healthy and maybe add a mile or two while you’re working during the day. The included wall charger is far superior in terms of speed but gimmicky as it may be, the solar option still delights me and it does work. 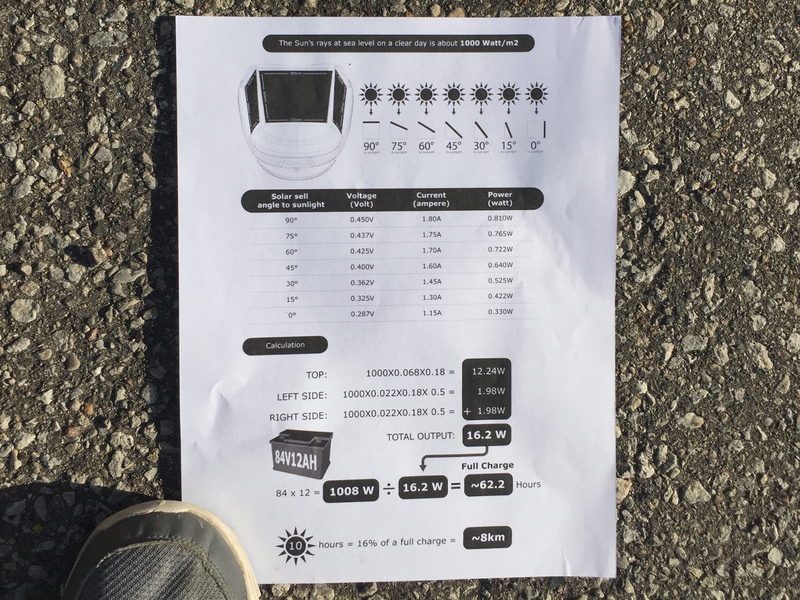 I’ve included the spec sheet below so you can decide for yourself how it might perform with your exposure to the sun. I came away very impressed with the Cameleon, I hadn’t test ridden many of Daymak’s other product before this trip to Toronto and I wasn’t sure what to expect. 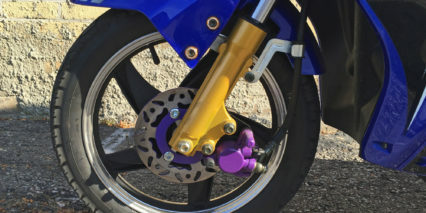 They also offer a solar option on the Beast and a prototype conversion wheel kit but the Chameleon is my favorite. The panels are placed in such a way that your body won’t block them or get them dirty while riding (not the case with the Beast). 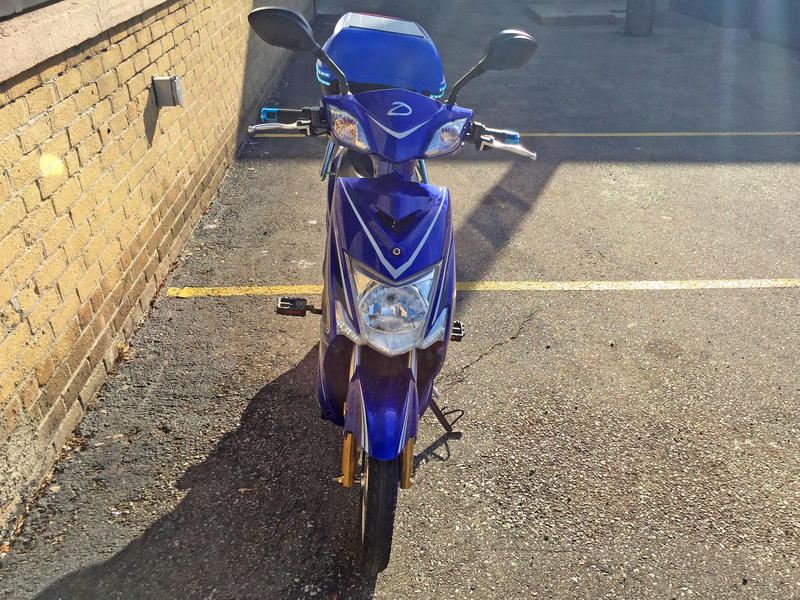 I like that it can be tuned to ride as a low speed ebike or a full power scooter and it just felt comfortable and capable. That’s also the feeling I got from the company making it… As mentioned earlier, Daymak has been around since 2002, they have a decent warranty and they have access to a “boneyard” of parts on-site to mail out to customers who are having issues or possibly crashed and need repair work done. 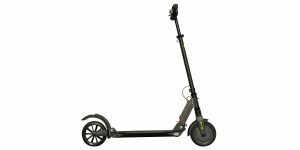 Daymak has a vast network of stores in Canada and a few in the US but also sells online and if you go that route you’ll sped at least $300 extra on shipping (possibly more if you’re in the sates) so this definitely isn’t the cheapest e-scooter around. Still, for ~$2k you get a lot of utility here and the fenders, front and rear suspension, hydraulic disc brakes and bar-mounted lights and mirrors put it in a different class than others. 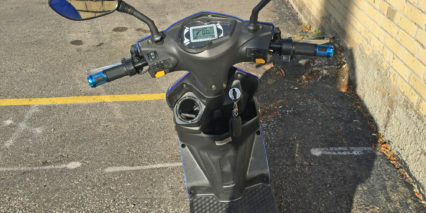 Other electric scooters, bikes, have controls and displays on the bike and do NOT …REQUIRE… the driver to have a “smart phone” There really are potential CUSTOMERS that don’t need/want the expense of a smartphone. My LG306G phone “claims to be Android” but does not have the “aps” needed, to use the excellent features of this bike. If it had it’s own display/controls, mounted on the bike, I probably would have ordered one, at this price point. I will wait and watch, and probably there will be “another” bike, that does have it’s own display and controls. Until then, CONGRATULATIONS on, what looks like, and excellent product. Other than the ridiculous $295 “delivery charge” I think DAYMAK is on the right path, of innovative products that should sell well! 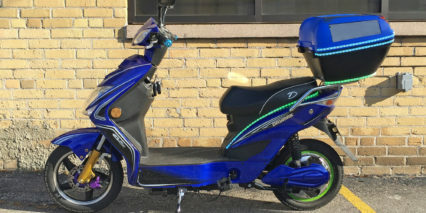 Daymak Chameleon Review how much this scooter with deliver in UK Birmingham B31 2hj please reply thank you. Hello! Is this by chance street legal in the US (Texas)? Also, how much CC does the engine have, if any? Thanks! Happy Turkey Day! I went to Daymak today to test drive a Cameleon, and evaluate it, with thoughts of buying one. The first disappointment was the price Daymak is actually putting on it. Considering their “mission statement” made on Indiegogo about “wanting to make good ebikes affordable”, I was surprised to see the sticker price sitting at $3,500CDN for the lithium version. This price is insane, given the crowdfunding, and the actual final product…. The second disappointment was the absence of an MP3 player or anything that used to be included with many previous Daymak products. With the exception of the light package, theft alarm, and bluetooth controls, there was nothing to fully justify the price of this bike. 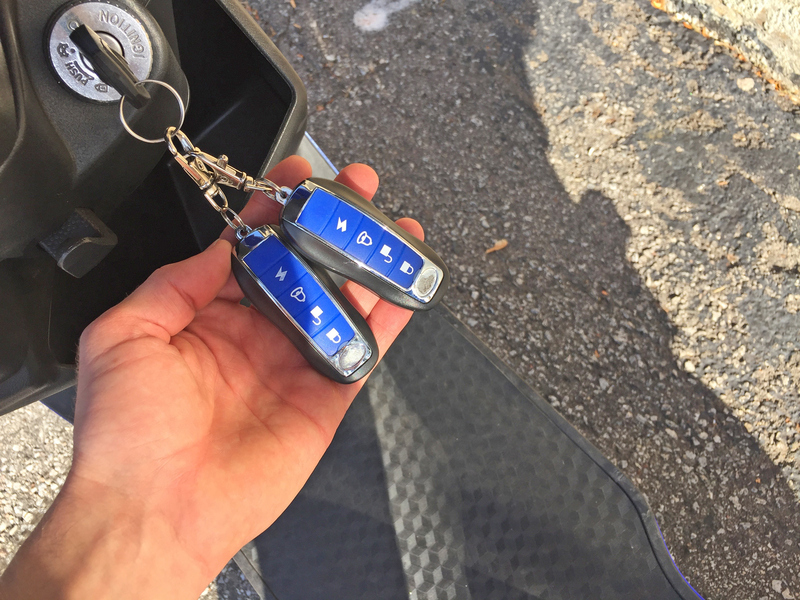 The third disappointment was the test drive… it never happened. Seems the controller wouldn’t set up (using the software) in such a way that would let the bike drive properly. EIther the techs didn’t know enough about the bluetooth app, or the app itself had a few bugs. Makes me question whether or not I would want my bike’s controller governed by an external device. 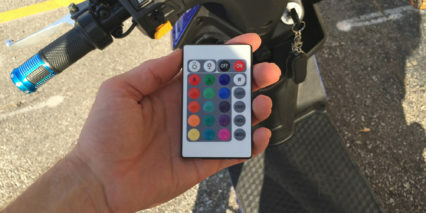 I made an observation to Daymak that the lack of a “manual” option to make these adjustments (such as a hard menu on the bike’s own display) was a huge oversight. Thanks for the updates about pricing and different options! Maybe they’ve been selling way less than expected and had to adjust for volume? In any case, I like the creativity of the Chameleon and hope they can refine their offering and continue doing more affordable stuff in the future. I saw the price jump way up for the Daymak carbon fiber EC1 ebike after their crowd fund for that too. I don’t think it’s that. Looks more like they’re exploiting the ignorant with the lithium pricing. 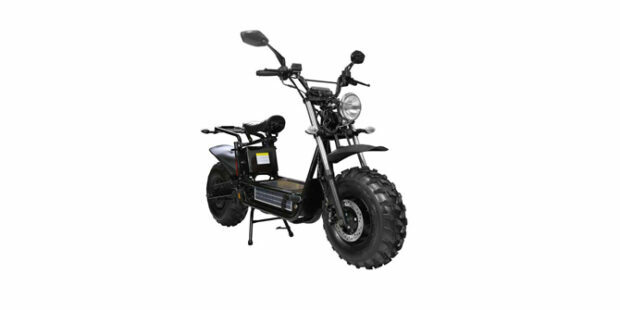 For instance, they put the 84V lead-acid Chameleon on their Ebike Universe site for $1,799. 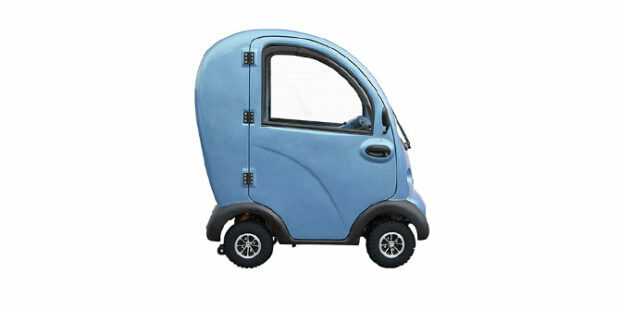 The price jumps to $3,500 for the lithium version. I know lithium is *somewhat* expensive, but if you subtract the value of the lead-acid system being taken away, it’s like they’re trying to say that lithium battery is worth over $2,000! That’s nuts. 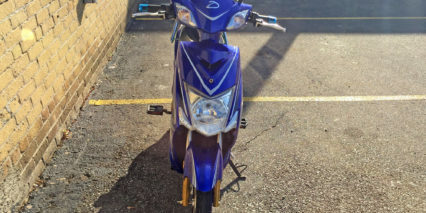 When you also take into consideration there appears to be no value-adding items included with this bike (such as an MP3 player, or even a pump or toolkit), they’re milking it. I’m currently talking with Aldo at Daymak about this. Their website doesn’t really answer the question of “is anything included?”. Don’t get me wrong, I appreciate what’s going on in getting this bike out, and it has a good foundation to build on. I just think it’s counter-productive for Daymak to try milking the product before it’s even been officially launched. It also doesn’t help promote the lithium movement, either. If you look at all the bikes on the floor at Daymak, they’re all assembled with the lead-acid systems. Daymak then handles lithium orders as a “conversion” or a “modification”. That tells me something right there. I need to post a followup to my last comments… I have since been to Daymak, and spent some time with Aldo, who took me around and showed me the things I needed to see. Some of my previous concerns about the Chameleon have been answered, and I should share the info here, in the interests of fairness. I was concerned the Chameleon rider, in the absence of a smartphone or tablet, could become stranded, due to a Controller fault or “reset”. I had a very knowledgeable tech (who doesn’t work for Daymak) explain why this can’t happen, and I realize now I should’ve known better on this – the controller will always retain the settings last given to it because they’re being kept in a place in the firmware that is not affected by things like power interruptions, bumps, etc. Aldo apologized for the confusion on the apparent high cost. 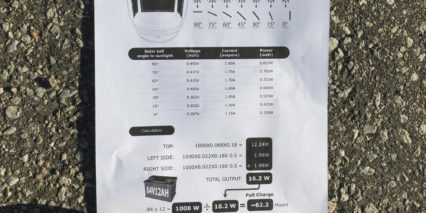 The “Bike Universe” website was displaying ($1,799), which was for the BASE model that didn’t include the solar package or lights (“Standard” version). The difference between the “Deluxe” version (upgraded with solar kit), and the “Ultimate” version (lithium ) was about $1,200. 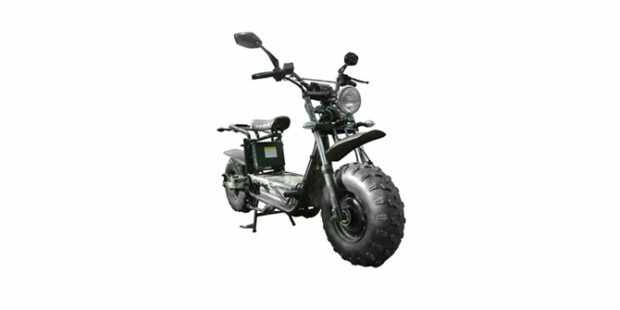 Since my previous bike’s 72V lithium added about $1,000, the price for the 84V lithium made far more sense. The Chameleon is being assembled from the start in BOTH lithium and lead-acid versions. This eliminates the question about the cost of the lead-acid being “swallowed” by “conversion”. I’ve also seen the dealers’ cost to order lithium, and the overhead going to Daymak is surprisingly small. If anyone’s milking the cost of lithium, it would be the suppliers, but that’s an investigation for another day. Daymak was also willing to consider certain “modifications” I felt would make things better for me. I asked if a handle could be installed at either END of the battery case, in order to carry it vertically (much easier than the 2-handed posture, especially when you need to carry it a certain distance). They’re going to attempt this for me, as well as install an MP3-ready connection (which is easy, apparently), and price a 2nd 84V lithium battery. (I function better with 2 batteries). Thanks for the info, been considering the chameleon since the kickstarter went live. Only recently did the local dealer get a few chameleons in for trial and supposedly this coming week they will have one set up. Have had my Ultimate Chameleon a couple of weeks now. Was very surprised at picking it up in Toronto that the solar boxes are still being developed and manufactured, but these will be sent out at some unspecified future date and will be plug and play. Have been experimenting with the app settings and talking to Daymak about the best settings. This bike is electronically limited to about 56 kph when fully charged (94V) and will do 52-53 at 84V. Now, I am 280 pounds, but this is a far cry from the 40+ MPH (67 kph) they advertised. I was able to 80 km range at pretty much full throttle in one go, which is fabulous! And the acceleration and deceleration can be programmed to be brutal, which I like. Maybe that is the zippiness Court was noticing. I have to say Daymak’s customer service and communication could be lots better. 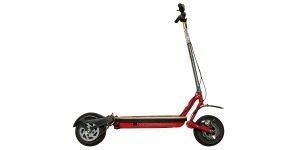 Overall this is a really decent light compact scooter, and has much to recommend it. But the Daymak Eagle I have had for a year is much more comfortable and roomy, and has a higher top speed, at least in 84V lead acid form. It only has about a 30 km range though. SPEED LIMIT NOTIFICATION 70kph <- this sets when the speed notification will pop up. The only setting that you need to be worried about is Over speed ratio, don’t set it higher than 15, depending on the motor it could over drive it. Voltage threshold. Needs to be 10 below the bikes voltage. Too high values can cause the motor to stall at max speeds. Battery current a and phase current, too high values can make the motor stall also. Other settings you can pretty much change to whatever you want. One last point…I had to go buy an android tablet for $130 to use the app, which is not available for any other platform. 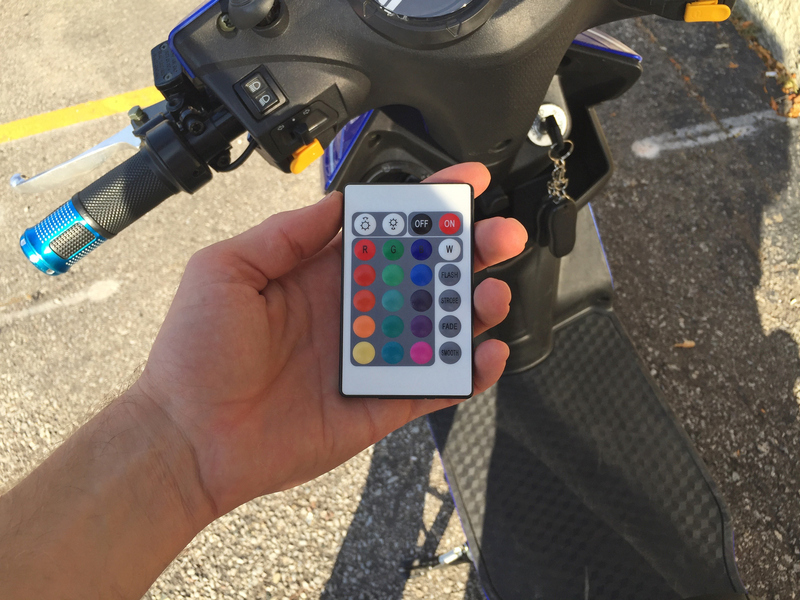 If you want to turn on the LED strip lighting you need do so via the app before every ride. It was like pulling teeth to get the app working on the tablet, you need a Daymak tech to email you the .apk file and install it that way. 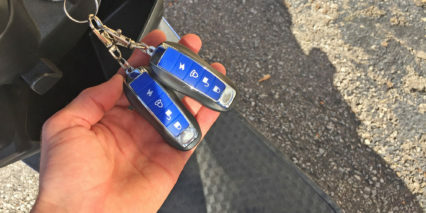 They do not tell you that the app does not show the LED controls until turned on in the Dealer Settings. They do not tell you how to access the dealer settings…and on and on. It was a five day slog to get the system figured out. 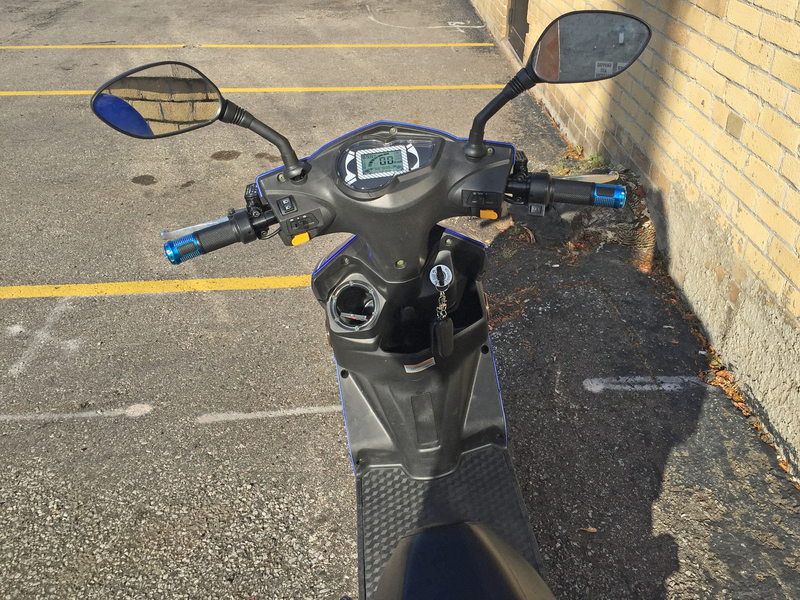 This scooter has some good potential, but after reading all the comments from people who’ve actually rode or bought one, I get the impression that this product is currently in “beta testing” with early adopters as guinea pigs… I’m potentially interested… but I think I’ll wait for version 2.0 ! Since your last post, have you seen any workarounds that would leave the LED system on, without having to use the app to turn them on again? I just got my Chameleon today, and witnessed the LEDs working at Daymak. Brought it home, tried to show the LEDs to someone else, and couldn’t turn them on. I don’t have an Android device (yet), but I’m going to make an Android boot disk and use my desktop to launch the app and flip the switches. But, it makes no sense to have to always turn the LEDs on with the app at every startup. There’s got to be a static setting. I purchased a Daymak Eagle for my boyfriend, $2700.00 It’s been in the shop more than he’s been able to drive it. It was winterized and he put it into storage. Heated, dry storage! He took it out charged it so he could drive it home, made it home, then fully charged it, went to take it out for a drive, and it’s back in the shop. No power going to the throttle. 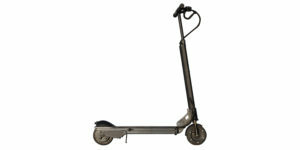 Very disappointed as my boyfriend needed a reliable way to get to work. Hi Lee, I don’t know it but maybe someone else will chime in?